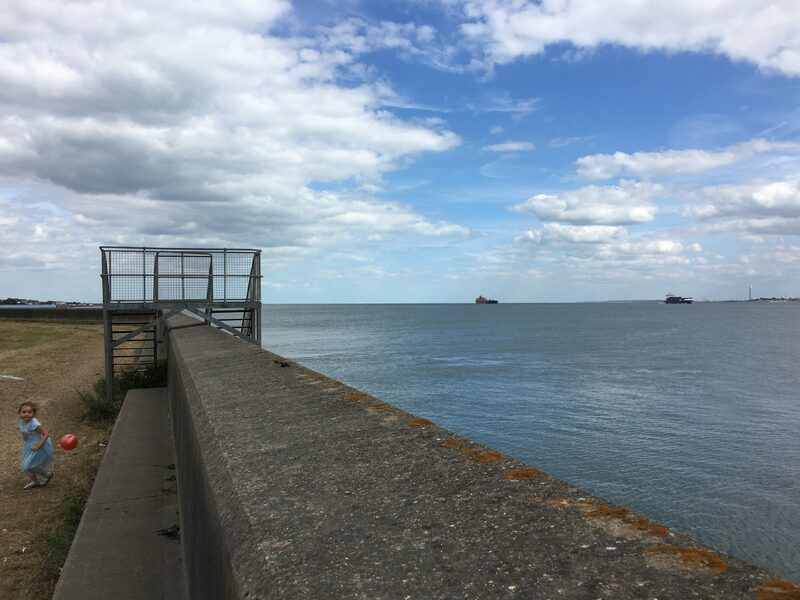 Adam Tanaka reflects on his post-Brexit bike ride along the Thames Estuary, Britain's historic edgelands, where he encountered a landscape already far from Europe. Follow the Thames River out of London and towards the sea, and the landscape changes rapidly. Skyscrapers give way to riverfront apartments. Office parks cede to logistics hubs and sewage plants. As you move further east, the river grows too wide for bridges to span. Settlements grow few and far between. You are now in the Thames estuary: a sprawling no-man’s-land where the metropolis dissolves into a surreal mosaic of swamps, power plants, seaside resorts, and military facilities. This summer, I spent two days exploring the estuary by bike. I covered roughly one hundred miles in thirty-six hours, tracing the southern and northern edges of the Thames as they meet the English Channel. 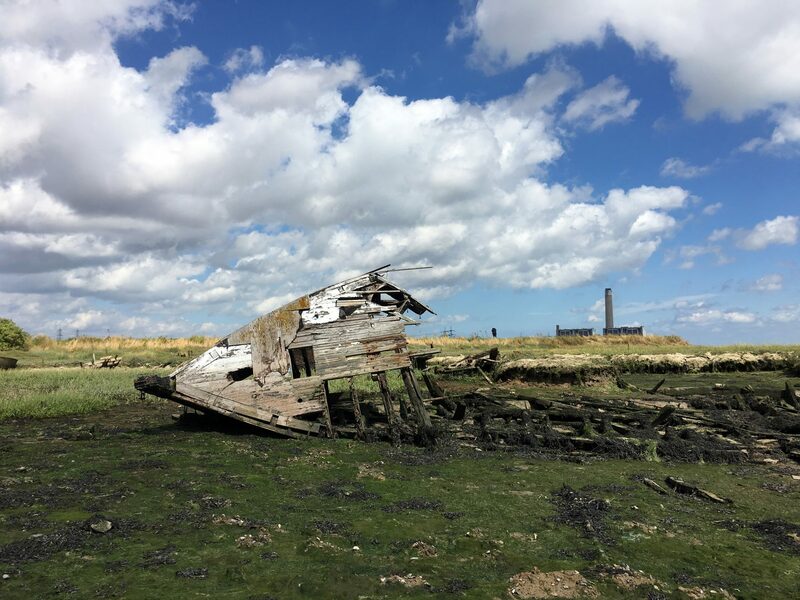 Decaying boats and decommissioned power stations on the Hoo Peninsula, Kent. Growing up in London, I had long been intrigued by the city’s hinterland. In 2013, I conducted an exploratory art project that took me from central London to the Thames Barrier, on the estuary’s western edge. In the post-Brexit fallout, I decided that it was time for a longer and deeper journey through the city’s border zone. As the results of the referendum revealed, the estuary was not just a border-to-be between Britain and Europe. It was also a border between two competing visions of Britain itself, with one side voting strongly to remain in the European Union, and the other — closer, physically, to the continent — strongly against. Nowhere else in the country saw such divergent results in such close proximity. 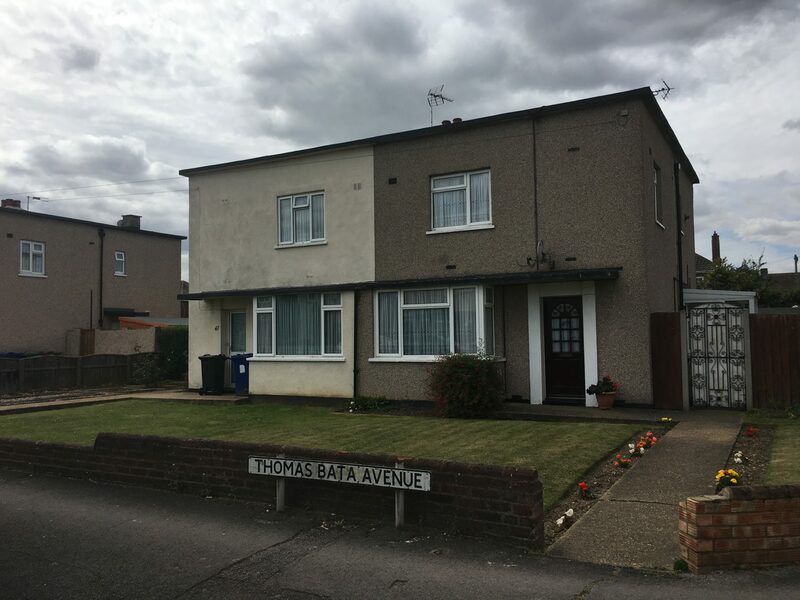 In the county of Thurrock, in the heart of the estuary, 74% of residents voted to leave the EU. Just 20 miles west in Hackney, 79% voted to remain. 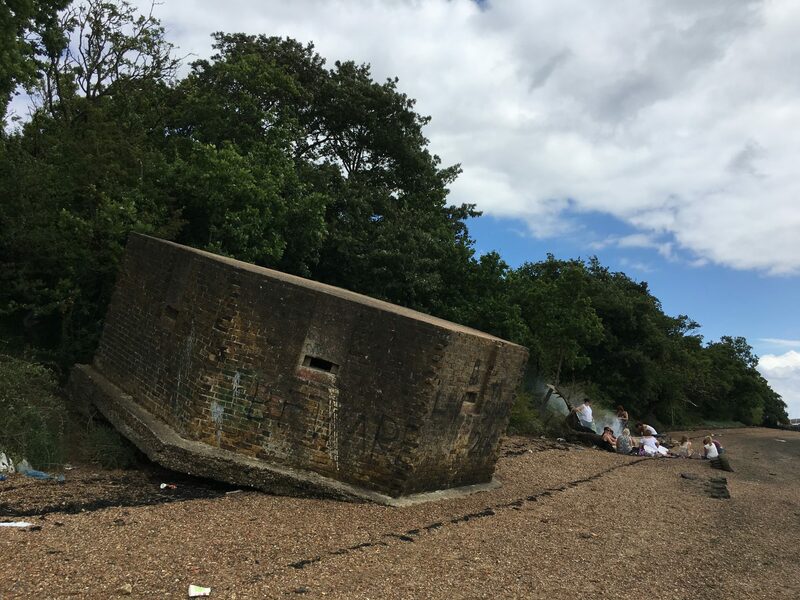 “Beware”: Summer picnicking next to a dislodged and disintegrating Second World War bunker. As I explored the region, however, I realized that Brexit was only the latest manifestation of a longstanding British wariness of the continent and its intents. This was particularly true for the estuary, which is the country’s most vulnerable flank, offering a wide-open corridor to the capital only fifty miles from the French coast. As I journeyed around the mouth of the Thames, I encountered half a millennium of British paranoia: Elizabethan castles guarding against the Spanish Armada; nineteenth century forts preparing for a Napoleonic assault; concrete bunkers steeling themselves for a Nazi ground invasion. None of these attacks ever took place, but the landscape remains pockmarked with psychological scars. Looking across the marshes at the decommissioned Kingsnorth Power Station. Despite new investments in shipping logistics, the area’s economy seems to be on the wane. 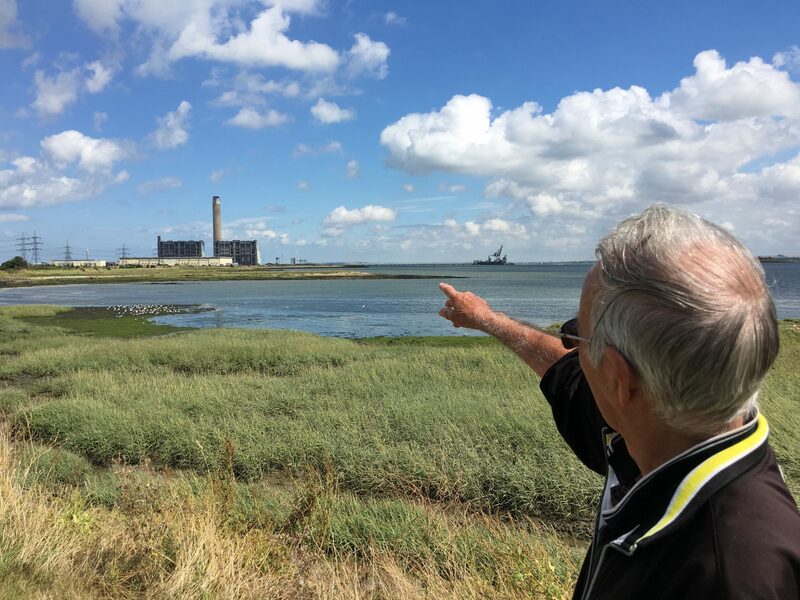 After thirty years in service, the massive Kingsnorth Power Station sits half-demolished, its twin smokestacks looming over the Hoo peninsula. The facility has been stuck in administrative limbo since a series of controlled explosions took out the turbine hall in 2014. As I approached the station, I met an elderly man walking alone across the marsh. He recounted memories of working in the plant in the 1980s, and complained of the slow pace at which the building was being torn down. A statue of Czech shoemaker extraordinaire, Thomas Bata, in the town that he founded: East Tilbury. 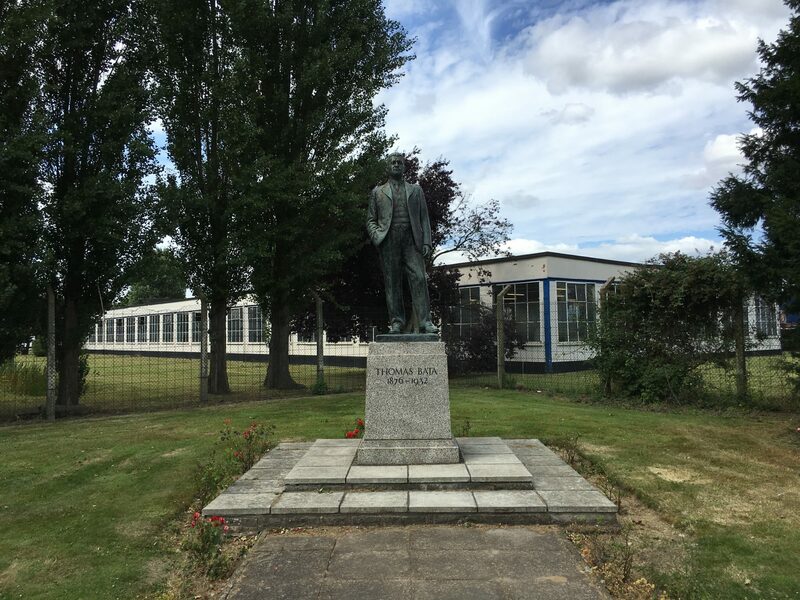 Nowhere is the area’s industrial heritage more keenly felt than in East Tilbury, an entire town built by the Bata shoe company in high modernist style. In the interwar years, the Czech company built a number of planned communities across Europe and the Americas. The place is an extraordinary relic of mid-century industrial design, with white, flat-roofed, shoebox-like homes built for the company’s workers. While the factories have long since closed, the Bata name is still dotted about on street names and building facades. There is even a bust of company president Thomas Bata in the town square, a testament to an earlier and more optimistic era of economic globalism. Bata houses on Bata Avenue. On a side street, I met a lady who had been living in the same Bata house since the 1950s, when her husband began working at the factory across the street. Without a trace of bitterness in her voice, she complimented Bata on his corporate vision, commenting on how futuristic the place had felt at the time. But she lamented how few of the kids in East Tilbury knew who the statue in the town square was anymore. A day out on England’s edge. The estuary is also a space of leisure, with recreational activity often taking place cheek by jowl with industry. Towards the end of my journey, I visited Canvey Island on the northern bank of the estuary. 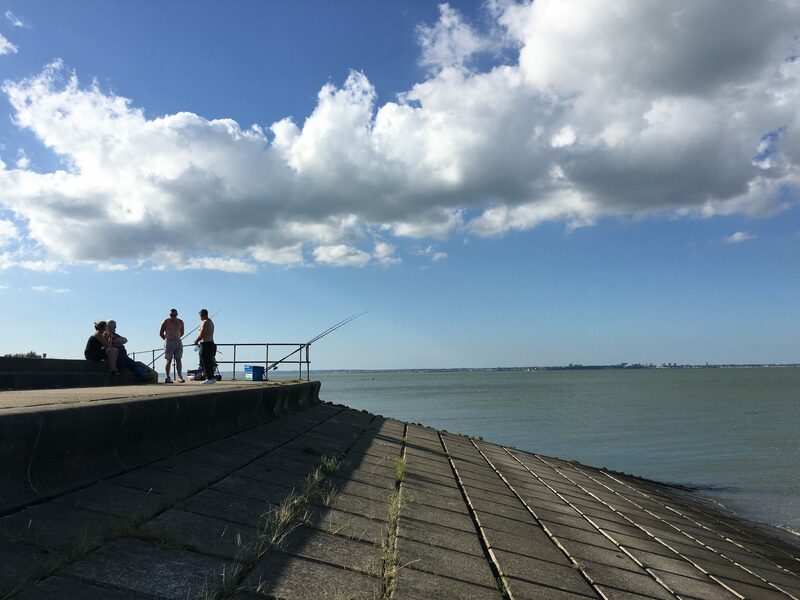 Between the First and Second World Wars, Canvey was soldered to the mainland and rapidly developed into one of the country’s largest holiday resorts, catering to the nearby metropolitan masses. But a disastrous flood in the early 1950s prompted local officials to barricade Canvey’s coast with a concrete sea wall. While the measure increased public safety, it compromised the area’s aesthetic appeal. Holiday homes in Thorney Bay Village. 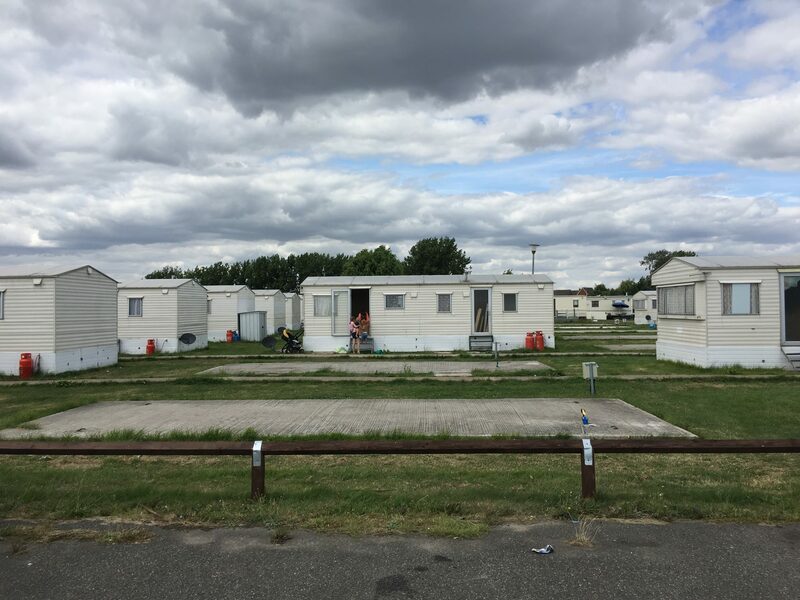 On Canvey’s southern shore I visited Thorney Bay Village, a vast collection of trailer homes – or, as the leasing office put it, “residential static caravans” – offering holiday homes for sale or rent. From afar, the resort had a bleak, institutional look, with hundreds of greying, prefabricated caravans arranged in tight little rows. Once inside, however, the place became a riot of noise and activity: dogs barked, children dashed to and fro, retirees tended to small plots of flowers. A young girl plays ball as container ships enter the mouth of the Thames. The smokestack on the far right is part of the Isle of Grain power plant, a fixture of the estuary landscape that has recently been demolished. Ironically, although marketed as a seaside resort, Thorney Bay was cut off from the water by Canvey Island’s concrete flood barrier. I briefly considered hopping the fence to the shoreline below, but was dissuaded by the “no trespassing” signs dotting the riverfront. I wasn’t the only one yearning for closer contact with the water. Nearby, a young girl strained to peer over the concrete wall toward the sea. Just beyond her line of vision, a procession of container ships slid silently by on their way toward the metropolis. The scene, both serene and somewhat sinister, was an apt metaphor for the country’s decision to cut ties with the continent. Here, on the edge of Britain, Europe was already out of sight and out of mind. You may not agree with some of the locals, but "paranoia" is a very hard word. I kind of wonder whether EU-scepticism in Tilbury isn't driven partly by the fact that many local residents are descendants of Moravian Bata workers, whose country was not merely bombed but also taken by the Spanish (Fernando I), French (Austerlitz) and German empires. And not enough is made of the fact that Tilbury Docks was used for a bit of the Venetian boat chase in one of the Indiana Jones films.